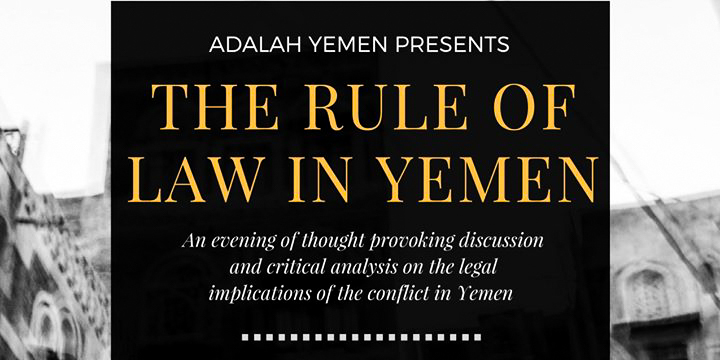 On Friday, May 12, the University will host an event entitled “The Rule of Law in Yemen,” which will center around discussion of the current political situation in Yemen and the history leading up to it. The event will include multiple speeches, a discussion panel, and a reception at the end. The speakers at this event are notable, with Executive Director of Adalah Yemen Omar Mashjari giving the welcome speech, and Former Minister of Human Rights for Yemen Hooria Mashhour giving the keynote address. The panel will be comprised of Connecticut Senator Richard Blumenthal, Yemeni Ambassador to the United States H.E. Ahmed Bin Mubarak, and Chairperson of Yemen Aid Summer Nasser. Assistant Professor of Government Ioana Emy Matesan will moderate the event. Discussions will focus on the legal implications of the current conflict in Yemen. According to the Facebook page for the event, Yemen, which is currently the poorest country in the Middle East, has experienced dramatic loss of life, extreme famine, and internal displacement since 2011. The page includes a quote from the International Rescue Committee, noting the size of the current crisis in Yemen. “Yemen is facing the largest humanitarian crisis in the world as 17 million people—almost two-thirds of the population—are critically food insecure and require urgent humanitarian assistance,” the page states. Adalah Yemen, a new organization operated out of London, will be hosting the event. They will also be launching their first report on International Humanitarian Law in Yemen on Friday, copies of which will be available for the audience. Matesan, in an email to The Argus, discussed the reasons behind hosting this event. “The goal for this event is to raise awareness about the conflict and the humanitarian crisis in Yemen, and to have an informed discussion with a number of very high profile speakers about the rule of law, and the challenges of conflict resolution and transitional justice in Yemen,” she explained. “I hope that this event will not only be very informative, but that it will also lead to productive conversations among academics, policymakers and civil society leaders, and give the audience a sense of different avenues through which they can become involved and do something about a crisis that feels very distant for most people in the United States,” she added.